"Designer Artistic Rectangle Stamp" product is already in your cart. Imprint Size: 7/8" x 2 3/8" Our new Designer Rectangle Ink Stamps from Trotec are manufactured with Low Emission Manufacturing and recycled plastics you are saving our landfills every time you purchase one of these stamps. 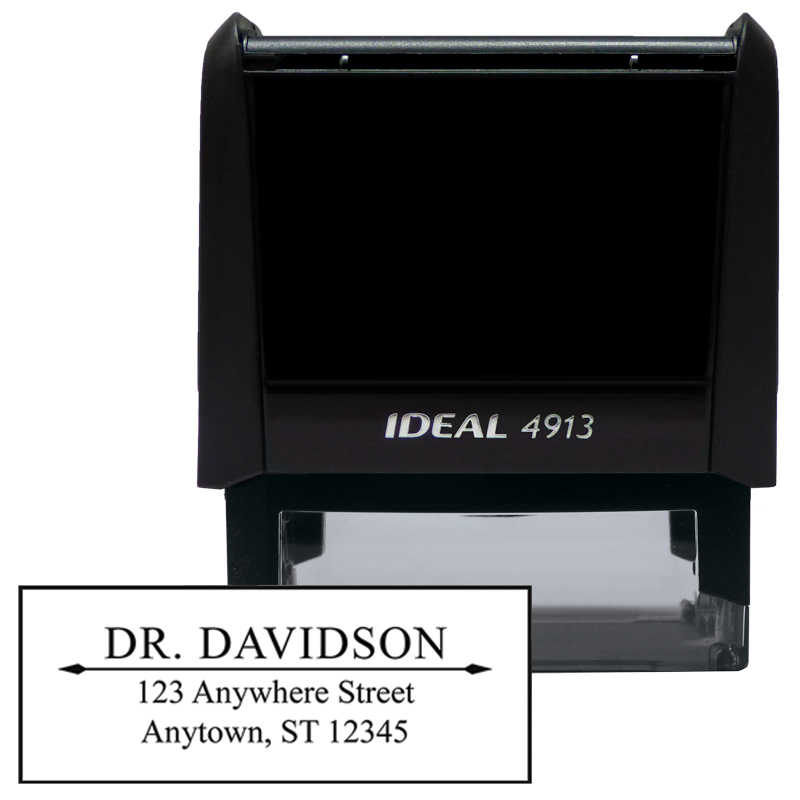 These pre-inked stamps are of the highest quality available. They come in four colors, black, red, blue and green. They will last for thousand upon thousands of impressions before you need to change the ink pad.